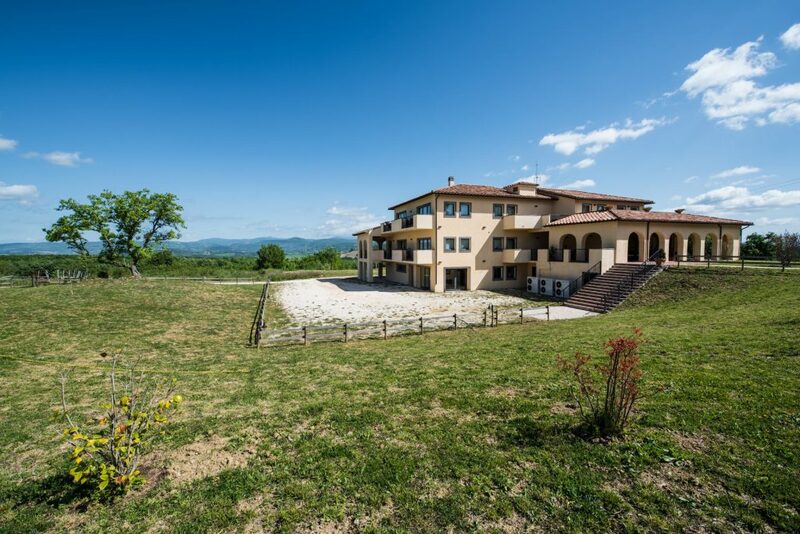 The building “Residenze Pianetti” is an apartments complex located in the countryside, just a 5-minute drive from Saturnia’s thermal baths, in the Municipality of Manciano in the heart of Tuscan Maremma. For guests who prefer to cook, the apartments are equipped with everything you need (dishes, refrigerator, pot, pan, dishes and cutlery) to prepare meals for 2-4 guests. For guests who prefer to eat out, the apartments are 600 meters away from the farmhouse Le Fabbre where they can eat breakfasts and dinners upon reservation, for an extra fee. Moreover the area is full of restaurants from Montemerano, Saturnia, Manciano, Pitigliano; you’ll be spoiled for choice! Apartment guests must check in at the farmhouse’s front desk, and they will then be accompanied to the apartment assigned to them. To reach the apartments you have to drive about 700m unpaved road. Check-in and check-out take place at the farmhouse’s front-desk which is 600 meters from the apartments. Upon arrival, guests will be registered at the front-desk and then they will be accompanied to the booked apartment. You can check-in from 13:00 until 20:00. If you plan to arrive after 20:00 you must call the front-desk in order to arrange your arrival. The check-out time is from 8:30 until 10:30. Of course, pets are welcome in our farmhouse without any additional cost, but every owner must pay attention to his/her pet and is responsible for him/her. Unless otherwise indicated in the selected rate (eg non-refundable rate) all bookings can be canceled without penalty up to 2 days before arrival. If you have to cancel within 2 days of arrival you will be charged the first night of the booked stay. When do you charge the stay? For non-refundable rates the stay is charged immediately after the booking. For standard rates you are not charged until your departure, and you can pay with a payment method other than the credit card you gave us to guarantee the reservation. Cash, debit card, early Bank transfer, credit card (VISA, MasterCard, Diners e CartaSi).